Mustang Spreadmobile. 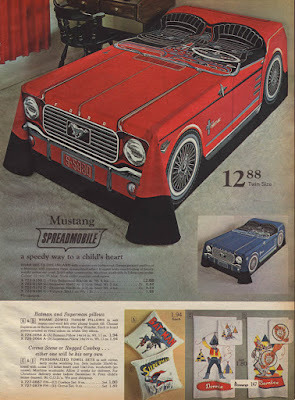 Mustang Bedspread from the 1966 JC Penney Christmas Catalog. Just how cool is this? It's a Mustang bedspread! It was available in the 1966 JC Penney Christmas Catalog. 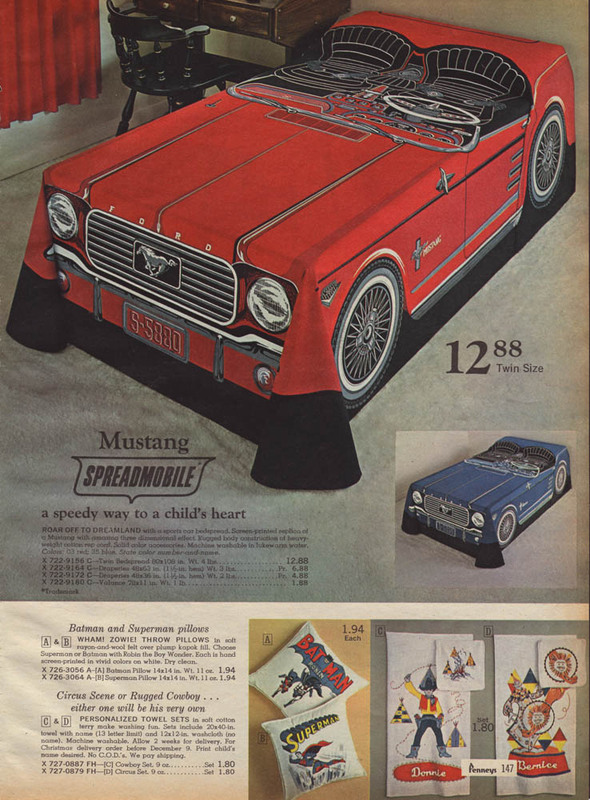 It was called a "Mustang Spreadmobile"..."a speedy way to a child's heart". It was available in red and blue for twin sized beds. The price listed was $12.88. Matching curtains and valance were also listed. This is the first time that I have seen this. Has anyone else seen these or maybe had one back in the day?